Arambashyam, K. 2013. Simulation of Lakes and Surface Water Heat Exchanges for Design of Surface Water Heat Pump Systems. M.S. Thesis, Oklahoma State University. Austin III, W. 1998. Development of an In Situ System for Measuring Ground Thermal Properties. M.S. Thesis, Oklahoma State University. Bhansali, A. 2009. Development and Analysis of Model Based Economizer Strategies. M.S. Thesis, Oklahoma State University. Bhargava, M. 1998. Enhancements to the Ground Loop Heat Exchanger Design Program. M.S. 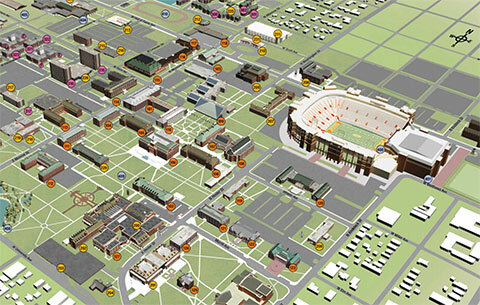 Creative Component Report, Oklahoma State University. Cai, S. 2009. Design of an Experimental Facility for Frost Growth Study in Microchannel Heat Exchangers. M.S. Thesis, Oklahoma State University. Castelino, R. 1992. Implementation of the Revised Transfer Function Method and Evaluation of the CLTD/SCL/CLF Method. M.S. Thesis, Oklahoma State University. Chen, X. 1996. Addition of Annual Building Energy Analysis Capability to a Design Load Calculation Program. M.S. Thesis, Oklahoma State University. Chiasson, A. 1999. Advances in Modeling of Ground-Source Heat Pump Systems. M.S. Thesis, Oklahoma State University. Cullin, J. 2008. Improvements in design procedures for ground source and hybrid ground source heat pump systems. M.S. Thesis, Oklahoma State University. Daher, S. 1996. Integrating a Ground Loop Heat Exchanger Into a Building Simulation Program. M.S. Thesis, Oklahoma State University. Dalvi, V. 1999. Development of HVAC Load Explorer v1.0 and User's Guide. M.S. Creative Component Report, Oklahoma State University. Eldridge, D. 2007. Design of an Experimental Facility for the Validation of Cooling Load Calculation Procedures. M.S. Thesis, Oklahoma State University. Elyyan, M. 2005. Design of an Experimental Facility For Building Airflow and Heat Transfer Measurements. M.S. Thesis, Oklahoma State University. Espin, D. 2003. Experimental and Computational Investigation of Snow Melting on a Hydronically Heated Concrete Slab. M.S. Thesis, Oklahoma State University. Feng, X. 1999. Energy Analysis of BOK Building. M.S. Thesis, Oklahoma State University. Ferguson, J. 1997. A Full Scale Room for the Experimental Study of Interior Building Convective Heat Transfer. M.S. Thesis, Oklahoma State University. Gentry, J. 2007. Simulation and Validation of Hybrid Ground Source and Water-Loop Heat Pump Systems. M.S. Thesis, Oklahoma State University. Grundmann, R. 2016. Improved Design Methods for Ground Heat Exchangers. M.S. Thesis, Oklahoma State University. Hansen, G. 2011. Experimental Testing and Analysis of Surface Water Heat Exchangers. M.S. Thesis, Oklahoma State University. Hegde, R. 2000. Development of Surrogate Bridge Freezing Capacitor Sensors and Control Circuit. M.S. Creative Component Report, Oklahoma State University. Hern, S. 2004. Design of an Experimental Facility for Hybrid Ground Source Heat Pump Systems. M.S. Thesis, Oklahoma State University. Hockersmith, S. 2002. Experimental and Computational Investigation of Snow Melting on Heated Horizontal Surfaces. M.S. Thesis, Oklahoma State University. Iu, I. 2002. Experimental Validation of the Radiant Time Series Method for Cooling Load Calculations. M.S. Thesis, Oklahoma State University. Iyer, A. 1999. Enhancement of the Generic Database Library Environment for Engineering Applications and Its Implementations for HVAC Load Explorer. M.S. Creative Component Report, Oklahoma State University. Jain, N. 1999. Parameter Estimation of Ground Thermal Properties. M.S. Thesis, Oklahoma State University. Jankovic, S. 2000. Surrogate Bridge Freezing Sensors. M.S. Thesis, Oklahoma State University. Karambakkam, B. 2004. Transient Conduction Heat Transfer in Two-Dimensional and Heavy One-Dimensional Walls. M.S. Creative Component Report, Oklahoma State University. Khan, M. 2004. Modeling, Simulation and Optimization of Ground Source Heat Pump Systems. M.S. Thesis, Oklahoma State University. Largent, M. 2007. Modeling Flat Plate Solar Collectors in HVACSIM+ and the Development of an Integrated Weather File Reader. M.S. Creative Component Report, Oklahoma State University. Lee, E. 2008. Development, Verification, and Implementation of a Horizontal Buried Pipe Ground Heat Transfer Model in EnergyPlus. M.S. Thesis, Oklahoma State University. Lifferth, S. 2009. Design and Construction of a New Psychrometric Chamber. M.S. Thesis, Oklahoma State University. Lim, E. 2010. A Preliminary Investigation of Fouling in Brazed Plate Heat Exchangers. M.S. Thesis, Oklahoma State University. Lindsey, K. 1991. Revision of the CLTD/CLF Cooling Load Calculation Method. M.S. Creative Component Report, Oklahoma State University. Malayappan, V. 2012. Implementation of a Finite Line Source Solution For Sizing Borehole Heat Exchangers. M.S. Creative Component Report, Oklahoma State University. Manicham, A. 1996. Enhancements to a Windows Based Program for Design of Ground Loop Heat Exchangers. M.S. Creative Component Report, Oklahoma State University. Mitchell, M. 2014. Experimental Investigations and Design Tool Development for Surface Water Heat Pump Systems. M.S. Thesis, Oklahoma State University. Mokashi, S. 1999. Implementation of Loads Direct to the Ground Loop Heat Exchanger in GLHEPRO Version 3.0. M.S. Creative Component Report, Oklahoma State University. Murugappan, A. 2002. Implementing Ground Source Heat Pump and Ground Loop Heat Exchanger Models in the EnergyPlus Simulation Environment. M.S. Thesis, Oklahoma State University. Ozdemir, O. 2009. Thermal Performance Comparison between Micro-channel and Round Tube Heat Exchangers. M.S. Thesis, Oklahoma State University. Padhmanabhan, S. 2005. Modeling, Verification and Optimization of Hybrid Ground Source Heat Pump Systems in ENERGYPLUS. M.S. Thesis, Oklahoma State University. Peramanu, S. 1992. Infiltration and Interzone Airflow Modeling for Building Energy Analysis. M.S. Thesis, Oklahoma State University. Ramamoorthy, M. 2001. Applications of Hybrid Ground Source Heat Pump Systems to Buildings and Bridge Decks. M.S. Thesis, Oklahoma State University. Ramesh, A. 2010. An Experimental Facility to Measure Fouling Resistance in Condensers. M.S. Thesis, Oklahoma State University. Ramey, M. 1994. Application of Computational Fluid Dynamics to Indoor Room Airflow. M.S. Thesis, Oklahoma State University. Revankar, R. 2012. Component Modeling of Air-to-Refrigerant Heat Transfer. M.S. Creative Component Report, Oklahoma State University. Sanders, S. 1995. An Experimental Facility for Studying Convective Heat Transfer in Buildings. M.S. Thesis, Oklahoma State University. Selvakumar, M. 2013. Application of Lake and Surface Water Heat Exchanger Simulations for Energy Calculations and Determination of Design Temperatures and Constraints. M.S. Thesis, Oklahoma State University. Sethi, S. 1994. A Study of Validation Techniques of Energy Analysis Simulation Software. M.S. Creative Component Report, Oklahoma State University. Sharma, C. 2009. Development of dry and evaporative fluid cooler models for EnergyPlus. M.S. Thesis, Oklahoma State University. Shenoy, A. 2004. Simulation, Modeling and Analysis of a Water to Air Heat Pump. M.S. Thesis, Oklahoma State University. Tang, C. 2005. Modeling Packaged Heat Pumps In A Quasi-Steady State Energy Simulation Program. M.S. Thesis, Oklahoma State University. Varanasi, A. 2002. Development of A Visual Tool For HVACSIM+. M.S. Thesis, Oklahoma State University. Vasudevan, S. 1998. Implementation of Generic Database Environment for GLHEPRO. M.S. Thesis, Oklahoma State University. Wadivkar, O. 1997. An Experimental and Numerical Study of the Thermal Performance of a Bridge Deck De-Icing System. M.S. Thesis, Oklahoma State University. Waheed, A. 1992. Computer Aided Design and Analysis of Close Looped Piping Systems. M.S. Creative Component Report, Oklahoma State University. Wang, F. 1991. Computer Aided Optimal Design of Duct System Using Simulated Annealing. M.S. Thesis, Oklahoma State University. Wang, N. 2008. Simulation Assessment of Evaporative Cooler Control Strategies. M.S. Creative Component Report, Oklahoma State University. Wang, N. 2014. An Improved Model of Ground Heat Exchangers in HVACSIM+. M.S. Creative Component Report, Oklahoma State University. Weathers, J. 1992. A Study of Computational Fluid Dynamics Applied to Room Air Flow. M.S. Thesis, Oklahoma State University. Weber, N. 2003. Performance Effects of Air Velocity Profiles in a Residential Heat Pump. M.S. Thesis, Oklahoma State University. Wilson, B. 2007. Experimental Measurement of Radiation Heat Transfer from Complex Fenestration Systems. M.S. Thesis, Oklahoma State University. Xia, X. 2002. Modeling of Hydronic and Electric-Cable Snow-Melting Systems for Pavements and Bridge Decks. M.S. Thesis, Oklahoma State University. Xing, L. 2010. Analytical and Numerical Modeling of Foundation Heat Exchangers. M.S. Thesis, Oklahoma State University. Yang, J. 2008. Implementation of a pipe flow transport delay model in EnergyPlus. M.S. Creative Component Report, Oklahoma State University. Yeung, D. 1996. Enhancements to a Ground Loop Heat Exchanger Design Program. M.S. Thesis, Oklahoma State University. Young, R. 2004. Development, Verification, and Design Analysis of the Borehole Fluid Thermal Mass Model for Approximating Short Term Borehole Thermal Response. M.S. Thesis, Oklahoma State University.